Sri Lanka - An island of dreams or garbage? Last week, you were introduced to Mad's experience from China, where he taught children English and about Denmark and Europe. This story is a bit different. By its placement and by the contents of the project. 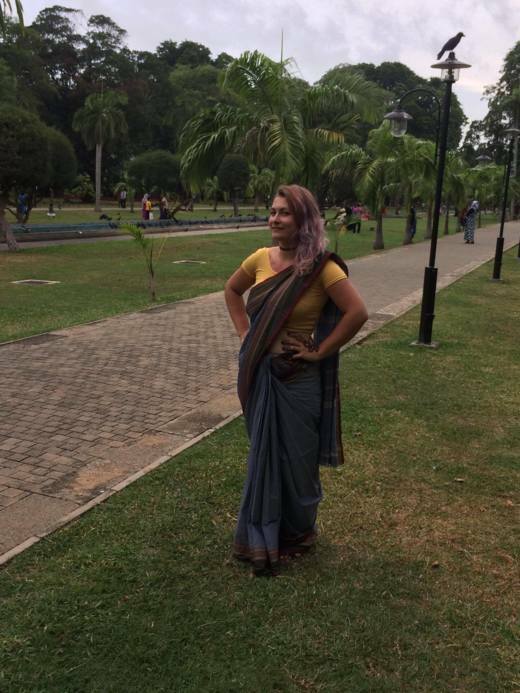 Annija from Aarhus took part in Sri Lankan project called WASSER 4.0 in summer 2017. The project dealt with waste management, which is frankly a thing each and every of us deals everyday. As well as in the case of Mads' report, the following lines are written by Annija herself, therefore you have a first-hand experience. To me, nothing sounds better than spending 4 full weeks in one of the most amazing countries in the world - Sri Lanka - while still having the chance to work with issues that matter me the most - water remediation from pollution. In this blog entry, I will discuss my experience, starting from the amazing travelling adventures, and ending with the project itself. Have fun reading it! 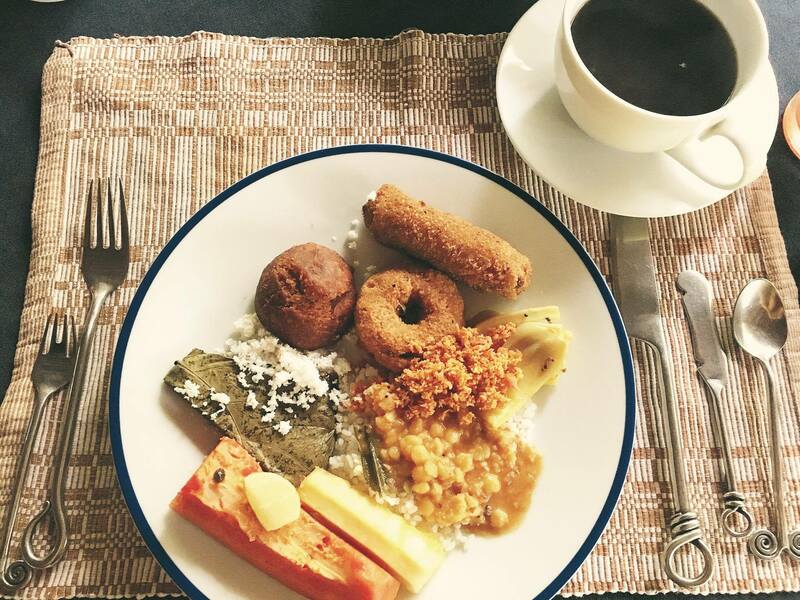 Overall, of course, I have to admit that Sri Lanka can be proud of its beautiful landscapes and unique cultural heritage (as temples, music, traditional clothing, etc. ), although, I have to admit - you have to be a really experienced driver to sit in front of the wheel - the traffic jams do occur on daily bases here and the recklessness of the drivers can easily take your breath away. Being used to the advanced Danish road systems and driving style, it took a while to adapt to Sri Lankan way. n the weekends we had a chance to travel around the island and this opportunity we, of course, used till the maximum. We travelled to different cities, witnessed a traditional Buddha festival Perehera in Kandy city, saw multiple beaches, climbed on numerous hills to experience beautiful sights and visited the gorgeous Hindu and Buddhist temples. Food? Very delicious, very cheap and, yes, very spicy! For Sri Lankans it is not common to eat, using kitchen utensils - they believe that the best tool is their hands. However, local canteens and restaurants are familiar with the 'weird' tourists and can provide with a fork and knife whenever needed. I also fell in love with the traditional Sri Lankan woman wear. It is called Saree, and basically, it is approximately 6 m long piece of fabric, tied around the body in multiple variations to produce something as beautiful as it can be seen in picture above. I really believe that I am the luckiest girl in the world - I have spent 4 amazing weeks with group of people from China, Singapore, Mexico and Egypt - and have had a chance to not only have fun with them but also to experience differences of their cultures under one roof. In the WASSER 4.0 project we collaborated and not only had a chance to see wastewater treatment and biogas plants, rainforest and wetland, but also had an opportunity to write an elaborate research project of the well-being of Colombo canal system, that later on was sent to the government. We hope that our work will be noticed and that we will bring some inspiration to the country to improve the waste management system. As I mentioned, we indeed had a lot of chances to get familiar with the current Sri Lankan waste management system. Despite the remedial actions that currently are being carried out in the country (to some degree), even when walking on streets, excessive amounts of trash were noticeable everywhere I looked. That led to understand that something definitely should be done about it. I am grateful that locals are seeing this as an increasing threat to the environment, and that volunteer work (as our project), beach clean-up sessions led by MEPA and public awareness programs (presentations in schools, handouts of leaflets on streets) are being executed to a higher level than ever before. For me personally, it was rather painful to see picturesque beaches covered in plastic litter and locals sitting next to them enjoying sunrays, not even realizing and noticing the unfortunate dumpster-like surroundings around them. Lastly, I would like to express my gratitude to all the help that I have received from my AIESEC team leaders from Denmark and Sri Lanka before, during and after the volunteering experience in WASSER 4.0 project. Thank you for helping me in every way you did and for support when it was needed the most. I hope that this blog entry will be seen as a tool to inspire other potential volunteers to participate in such projects. As you can see, AIESEC opportunities are not just about teaching English. They deal with problems of today's world and seems to be usual to us, is not usual on the otherside of the world. If you feel like helping the others and discover a new part of the world with a purpose, try checking some of the following opportunities at www.aiesec.org. We hereby would like to thank Annija for allowing us to publish this content for future volunteers.